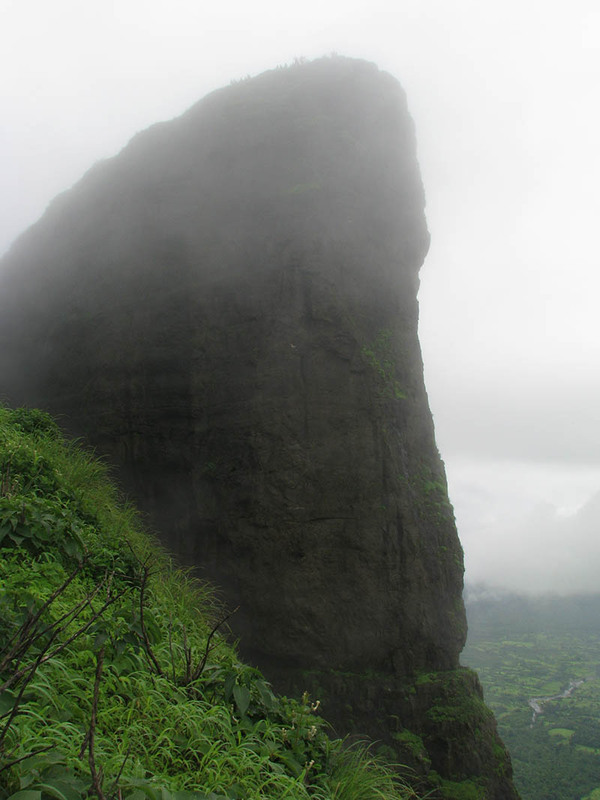 Nagphani, later known as Duke’s Nose after Duke Wellington, is a cliff at Khandala. The Cliff is pointed like a snakes pointed head portion (hood) and hence the name Nagphani (Nag means snake and phani means hood). 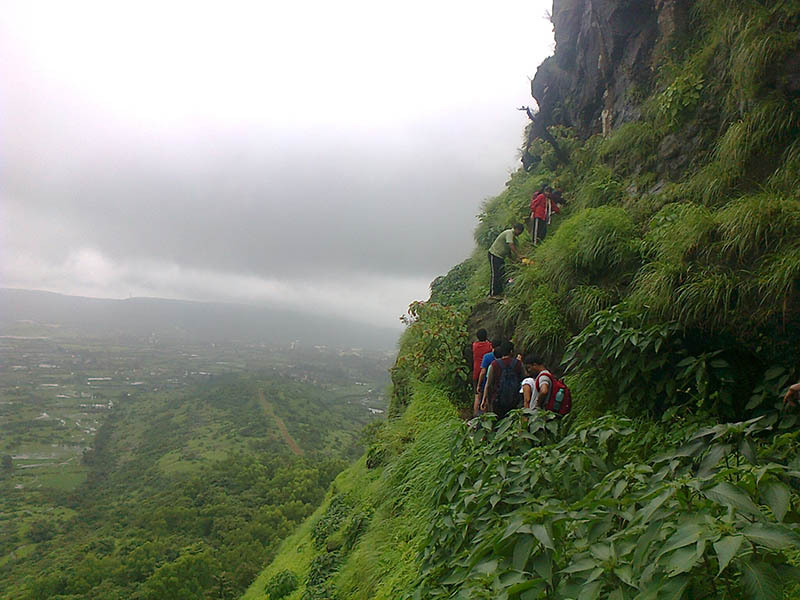 This is a marvelous trekking spot between Khandala & Lonavala. 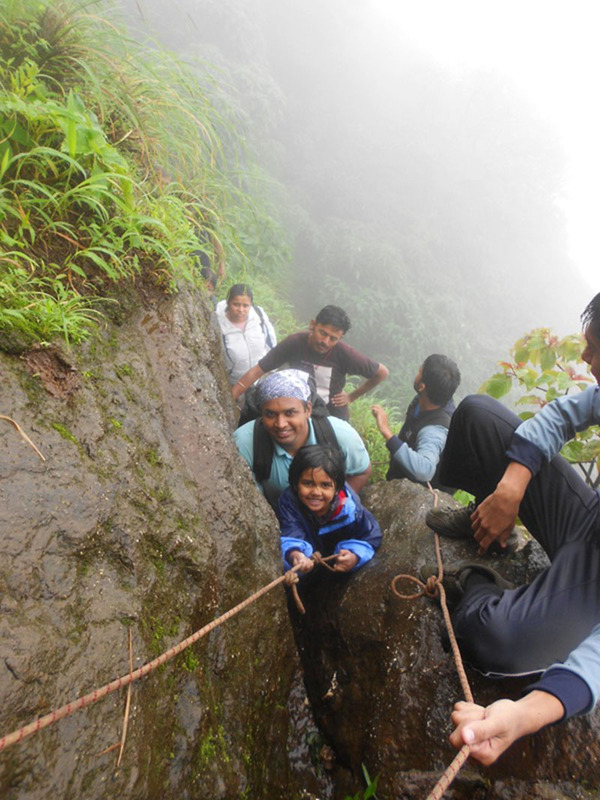 Adventurous trekking is highly essential to reach the Duke’s nose via Khandala. 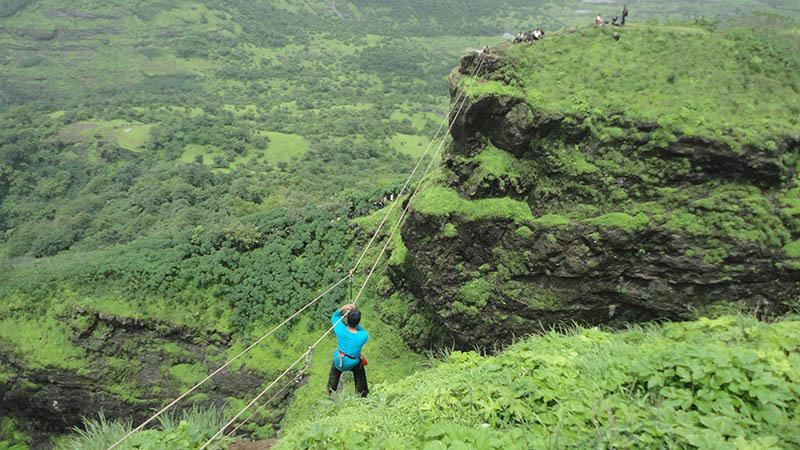 Climbing from Khandala is a good getaway for adventurous trekking that can be done under 4 hours & get down towards Kurvande Village in just 45 Minutes. Just keep your water bottles filled to the brim always as drinkable water is difficult to be found on the way and enjoy the climb to the Cobra’s Hood. Right on the top of the Duke’s Nose is a small temple of Lord Shiva. Valley crossing from Dukes Nose to Duchess Nose is a great fun due to roaring winds, foggy atmosphere & of course Deep Valley. Throw yourself in Valley with all technical gears; Join us for this One Full Day of Mind Blowing Adventure Rush with 100% Safety!!!!!! 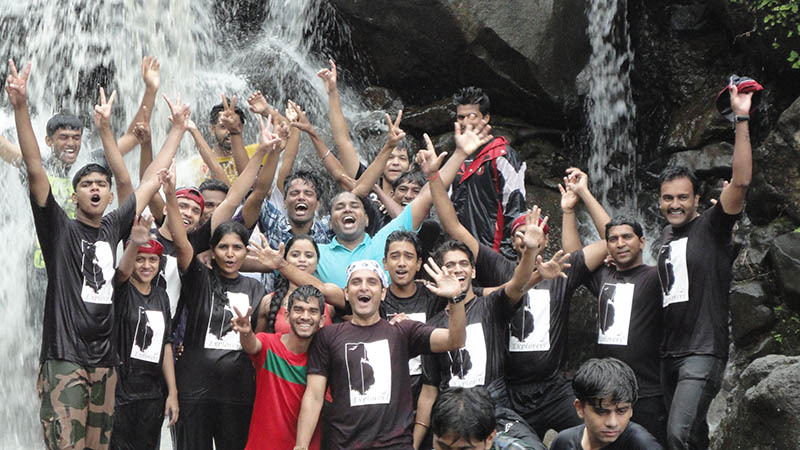 Please Call for availablility before you book for Dukes Nose Get-Together Trek, to avoid 5% Transaction Charges. 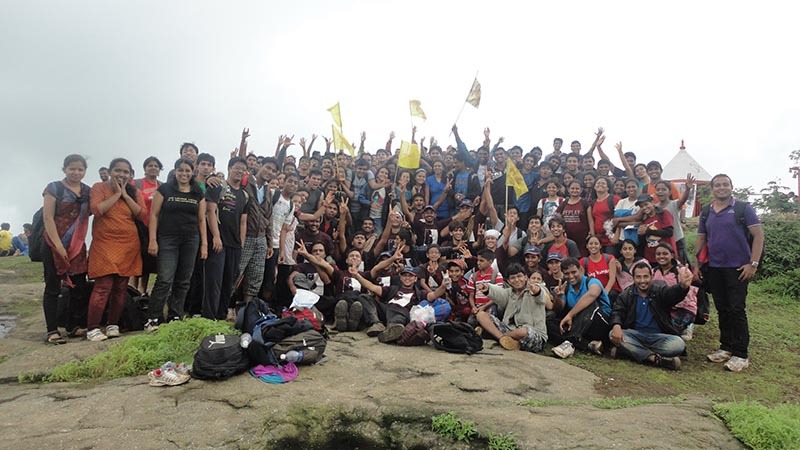 Last date of Enrollment for Dukes Nose Get-Together Trek: 13 July, 2018 or till seats left. Reporting Time & Place for Dukes Nose Get-Together Trek: On the Day of Trek by 05.15 am on platform No.1 at Krishna’s Restaurant inner Side of Pune Railway Station. 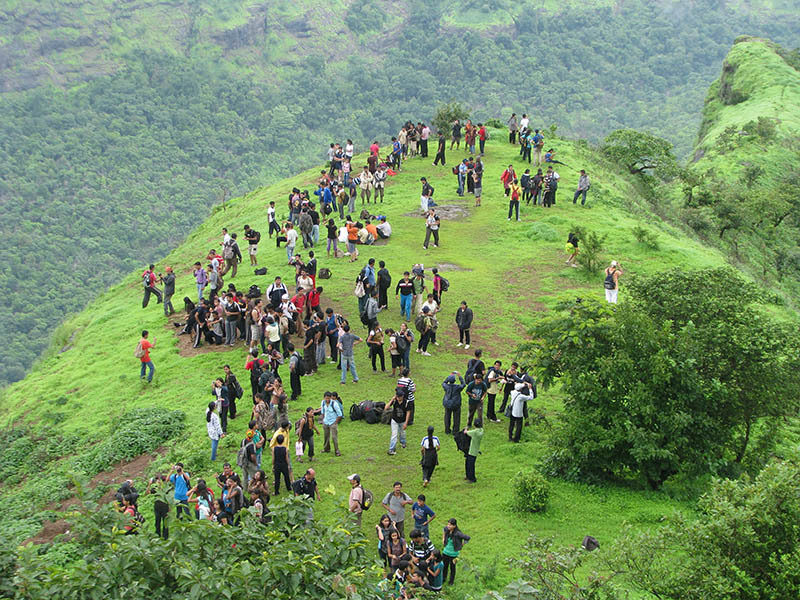 Walking Time (estimated) for Dukes Nose Get-Together Trek: 3.5 hours to reach the top via Khandala & 45 Minutes to get down at Kurvande village, then a plain walk of 4 kms by road towards Lonavala Railway Station or hire a Sumo, at an extra cost. Batch Limit for Dukes Nose Get-Together Trek: For Get-together Trek No batch limit. Valley Crossing Batch Limit is 100 Participants. 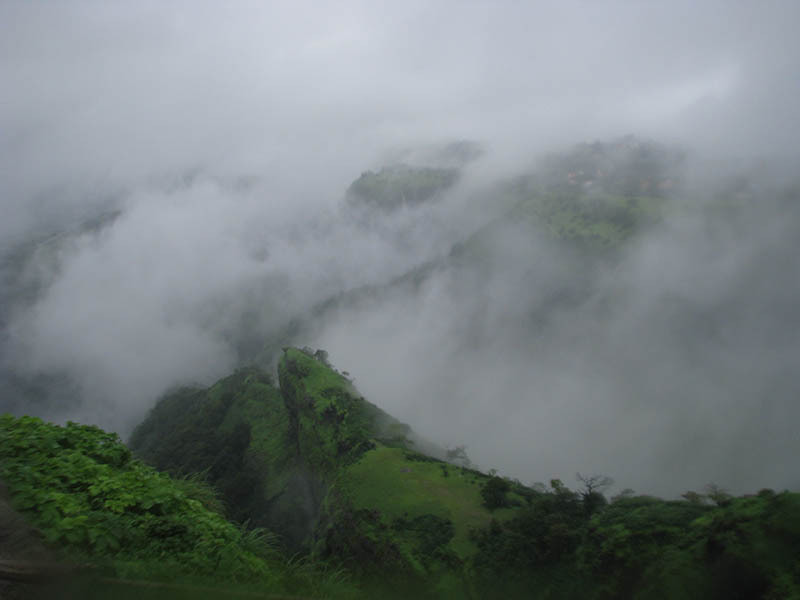 Route: Pune – Lonavala – Khandala & Lonavala – Pune. Gather at Pune Railway Station. Give attendance to the Team Explorers. You can meet Team Explorers on Platform No. 1 near Krishna’s Restaurant inner side of the Pune Railway Station. MUMBAI PARTICIPANTS WHO ARE COMING DIRECTLY MUST REPORT AT KHANDALA RAILWAY STATION AT OWN EXPENSES BEFORE 08.30 AM. AFTER THAT YOU HAVE TO JOIN THE TREK AT OWN RISK AND RESPOSIBILITIES. Get Down at Khandala Railway Station within 2 Minutes. Breakfast Distribution. Have a Breakfast at Khandala Station. General Instructions & information by Team Explorers. Start Trekking, Please keep patience while trekking, you have to wait or walk slow due to heavy crowd. 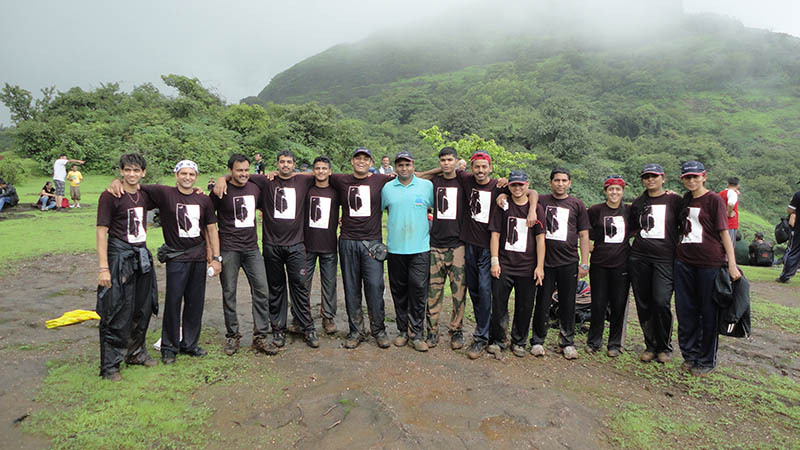 Also co-operate with all the participants’ n team explorers to have safe n enjoyable trekking. After waterfall Start Trekking towards Dukes nose with a steep walk of 1 hour. You have to pass 2 small Rock Patches. Team Explorers is available for Help. You have to wait in a “Q” to climb the Rock patch & to reach the Top of Dukes Nose. Reach the Top of Dukes nose. Those who have already enrolled for Valley crossing can start the activity by giving attendance to a Leader available at Valley crossing. Numbers are assigned as per the admissions. Lunch time. Please bring sufficient Lunch & Water. Nothing will be available on Dukes Nose. Start Descending the Dukes Nose towards Kurvande Village with Team Explorers. Participants who have enrolled for the Valley crossing will have to wait till event is over & other participants can move for return Trek journey. Reach Kurvande Village. After evening tea you can start plain walk of 3.5 kms towards Lonavala Railway station OR you can hire a Local Jeep / Tempo at own cost. 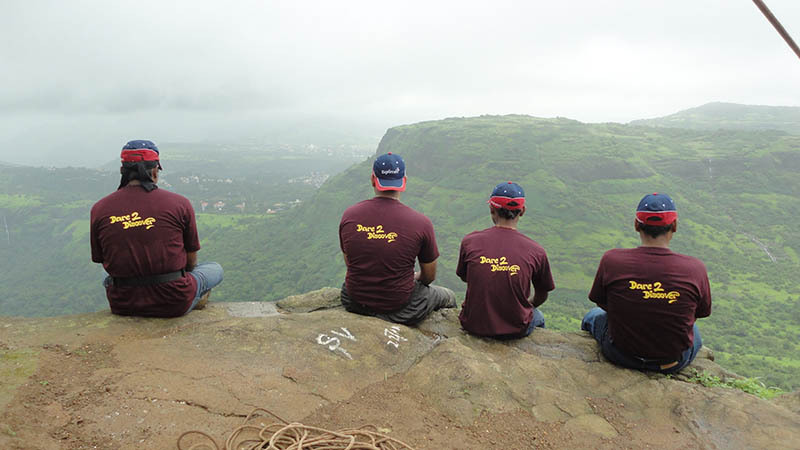 Team Explorers will not join you for onward journey from Kurvande to Lonavala & till Pune. After reaching at Lonavala Railway Station Board Lonavala – Pune Local from platform No. 3. Local timing from Lonaval to Pune is : 02.55 pm / 03.45 pm / 05.25 pm / 06.20 pm / 07.00 pm / 07.35 pm / 08.40 pm. 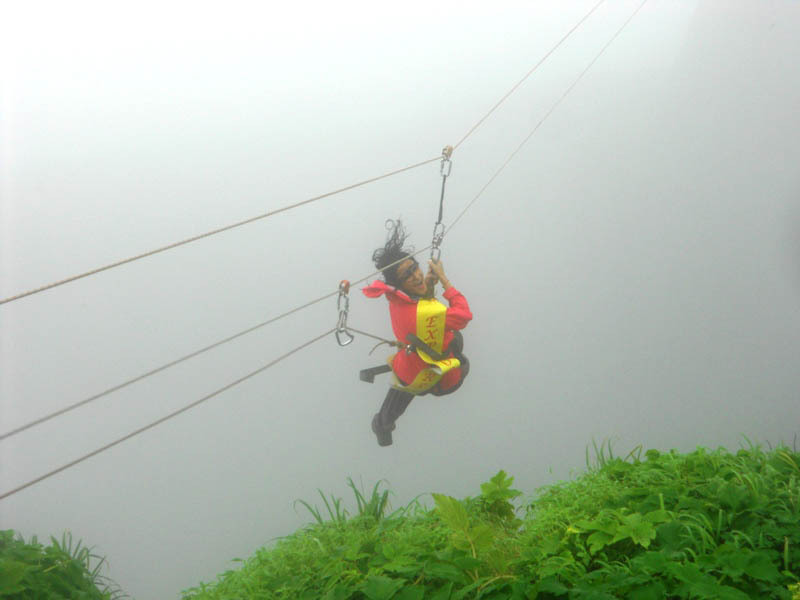 Reach Pune with happy & everlasting memories of the adventure. From last 2 years Explorers is not providing the return local ticket from Lonavala to Pune as tickets are valid till next 1 hour only. Please purchase the return ticket for Lonavala to Pune journey which costs only Rs.15 per head. Explorers are not taking any responsibility for return journey from Kurvande Village. You can walk for 3.5 kms by tar (metallic) road till Lonavala Station or can hire a Sumo from Kurvande village at own expenses. No one is allowed to do the valley crossing twice in absence of any person/friend/relative. No arguments will entertain in that case. Half pant is strictly not allowed to any participants. You can wear ¾ or Track pant. If anyone found wearing a half pant / shorts he will not be allowed to join the trek and No refund will be admissible. Booking Amount For Trek: Rs.100/- Per Head Pune to Pune (One way Sinhgad Express Ticket + Breakfast + GST). Transport by Train. (Pune – Khandala by Singhgad Express) (No Seat Reservation). Valley crossing with requisite adventure equipment, if registered separately. Morning & Evening Tea & lunch, Cold drinks, Mineral water, etc. Lonavala to Pune Local Train Ticket. Ladies are requested to seat in a Ladies compartment of Local in a return journey for safety & to avoid Heavy Crowed. Bring sufficient LUNCH for Dukes Trek; Nothing is available on Dukes Nose. Share your Tiffin (Lunch) with the Needy Participant.